View cart “The ACW Full Wells Grip 7″” has been added to your cart. Narrow agates in nickel silver frames that are truly suited for modern lines. Perfect for heavier cane rods of 6 wt. and up, as well as classically styled graphite rods of 5 wt. and up. Recently assembled from antique (pre-WWII) components. Rings range from 12.5-14 mm O.D. (most 13mm – 13.5mm). No size choice. 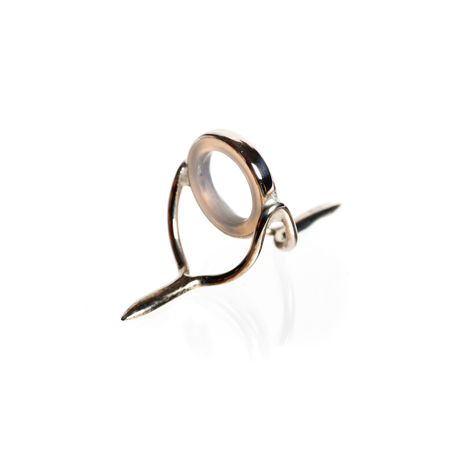 Vintage Rings; Vintage Frames; Assembled In House. Made in our shop, utilizing vintage German frames, rings, & bezels.